REVIEW: Tommaso Imola Road Bike. Is It Really The Greatest? 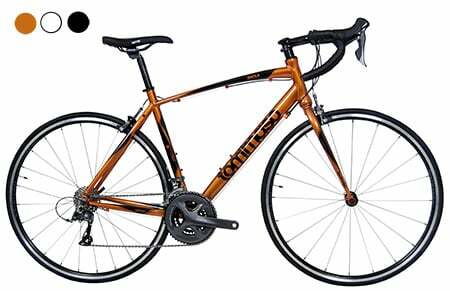 Best Selling Road Bike On Bicycle Guider! 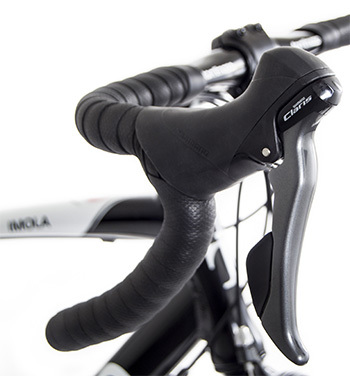 Tommaso Imola is one of the most popular budget road bikes out there. It’s really good-looking and for the little money that you need to invest in it, you get original Italian design and manufacturing. Tommaso Imola is only available through online purchasing, so there is no option to test-ride it before you buy it. 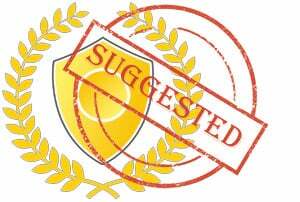 However, there are so many user reviews online, that by reading them you will get a good idea of what you get. It’s great to know that the huge majority of those are positive and praise everything that this bike is. Through this review, you’ll be able to learn even more about this entry-level aluminum road bike and see its biggest advantages, but some drawbacks of the Tommaso Imola as well. Tommaso Imola is not so popular and highly praised for no reason. 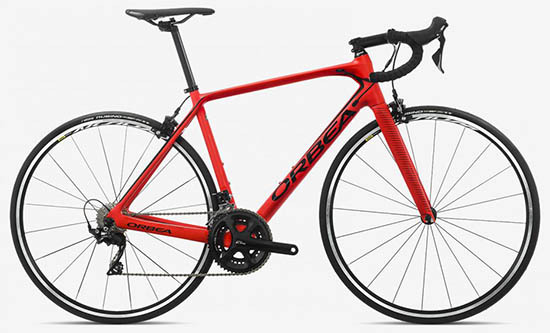 It is a low-end road bike in terms of price, but in terms of components, it is much more. Tommaso did not try to increase their profit on account of bike quality. As you can see from the list of specifications, Tommaso Imola has a lot to offer. With this bike, you will definitely not be at the rear of your cycling group (unless you wish to increase drag). The Tommaso 6061 SLA Aluminum frame is pretty standard across all aluminum bikes in this price range. They have figured out a geometry that works and there is no need to change it since this frame does its job perfectly well. 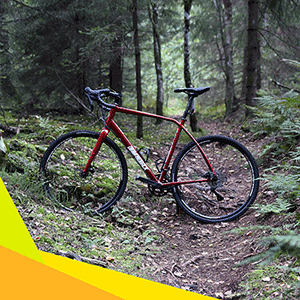 It’s definitely not heavy or uncomfortable, so it will provide a seamless ride both uphill and on uneven roads. Moreover, the frame is available in three colors: black, burnt orange, and white. Our personal favorite is the burnt orange, but the other two color-combinations look really nice as well. You might not be the fastest cyclist out there, but you’ll be among the more fashionable for sure. The fork is definitely the biggest downside of Tommaso Imola if we have to choose one. 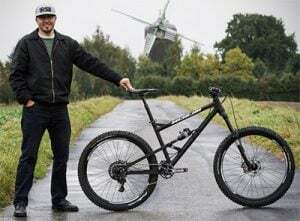 The fork is made of steel, so it is much heavier than an aluminum fork would be and it adds some weight to the bike. However, we have to remember that this is a budget road bike so we need to stay realistic. If you want to save some weight, for a couple hundred dollars more, you can choose other Tommaso models with aluminum or even carbon forks. However, for a beginner rider, the weight that the steel fork adds is not going to impact the overall ride in a very significant way. The drivetrain is the part of Tommaso Imola where manufacturers usually try to increase profits by going for some very low-end solutions. However, Tommaso was not reluctant to part with a few extra dollars and fitted the Imola with a complete Shimano Claris groupset. The complete Shimano Claris components are really the high point on this bike. The combination of gears is 3×8 which will be perfectly suitable for a beginner road cyclist. You will have plenty of gear combinations to grind your way uphill, but also to keep up with your cycling buddies on a much more expensive road bikes. The derailleurs are also part of the Shimano Claris groupset which has shown some good results so far. This is the groupset that many budget bike models are fitted with because it offers a great performance for not too much money. You will definitely have a seamless transition between gears if you take a good care of the derailleurs and adjust them properly. When you first get the Imola, since it can only be purchased online, you should take it to a local bike shop so that a trained professional could do the adjustment. 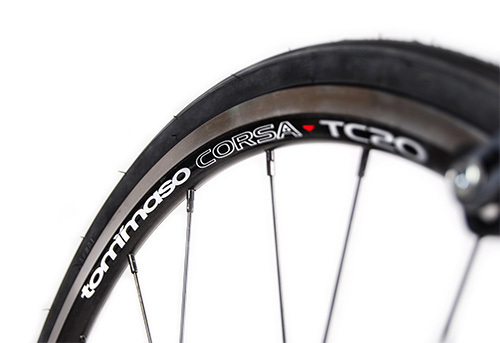 The wheels on Tommaso Imola are their own Tommaso Corsa TC-20. They do not have the aerodynamic shape than some other more expensive Tommaso road bikes do. The front wheel has 20 spokes, while the rear wheel has 24 spokes, so it will support your weight just fine. The tires that these wheels are clad with are Kenda’s 700x25c, which is a good width, especially if you are transitioning from a different type of a bike. These tires will roll effortlessly on most roads and your ride won’t be too bumpy. PS. Some people who bought the bike report that they had to take the bike to a shop to true the wheels, so have that in mind. Since Tommaso Imola is a budget road bike, we cannot expect it to have disc brakes, and this can be a good thing as well. 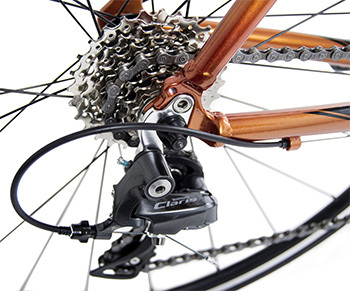 Disk brakes on budget bikes are usually bulky and heavy and oftentimes unnecessary. Brakes are also another part of the bike where manufacturers try to save money by going for no-name solutions. However, Tommaso has decided to go for mid level Shimano Claris brake calipers for this model, so you will be able to stop on a dime and not just go very fast. Not a lot can be said about the saddle and the pedals. Chances are, you might enjoy them and stick with them, or you might hate them from the first day and change them right away. It’s an individual thing, so everyone responds differently. However, what we can say objectively, is that it is nice that the Imola comes with pedals (flat) so it is ready for riding straight away. The seat is the result of a partnership between WTB and Tommaso so it features a Tommaso logo and it looks comfortable enough for some long rides. If your expectations from a cheap road bike are realistic, then you will be more than happy with the Tommaso Imola. 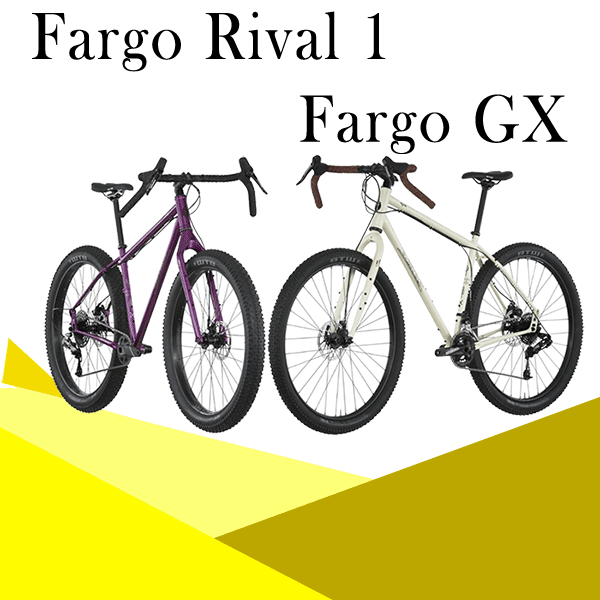 It’s a great bike for someone who is just starting to cycle, or who is buying their first road bike and wants to test the terrain without the obligations that an expensive road bike carries. The complete Shimano Claris components are really the high point on this bike. It’s great to see that Tommaso has gone the extra mile to please its customers. However, the steel fork is a little bit out of line, but savings had to be made somewhere. Plus, this will not decrease your performance by a lot nor add extreme amounts of extra weight. All in all, if you do not want to spend all your savings on a road bike because you are not sure how much you will ride it, or you just don’t want to buy too much bike, the Tommaso Imola will do you justice. 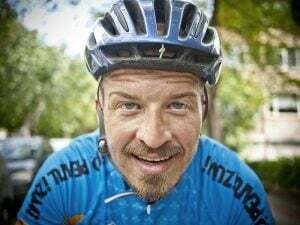 Our advice is to let a trained mechanic set it up for you at a local bike shop before you ride for the first time to avoid some common problems that shipped bikes have. After that, you will be all set to go!